After many years working in the carpet industry, Ken completed an upholstery course at Chichester college and became a self-employed upholsterer. He furthered his skills by completing a course in rush & cane seating, as well as a Windsor chair making course at West Dean College. This led to Ken producing fully upholstered swing rocking chairs which he sold for many years. However, following his wife’s death in 1998, he decided he needed to broaden his range of products to include smaller, lower priced items. This led to him studying at the Greenwood Trust in Coalbrookdale. Here he learned the art of making Shaker oval boxes, which were originally made by the Shaker community in England in 1770 before moving to America in 1774. Later in 2005, while staying with friends who were woodturners, he was also introduced to this skill. Here he became intrigued with their 1894 ornamental turning lathe & having learned the basics, agreed to buy it from them. 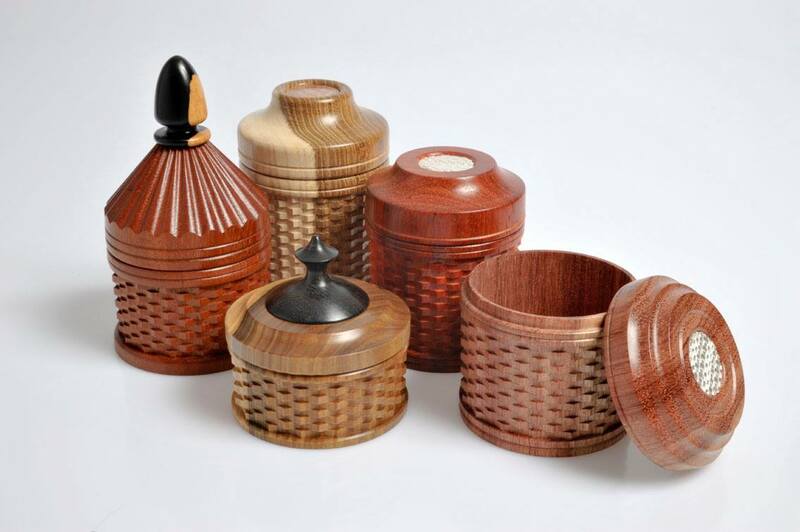 Since then he has developed a wide range of intricately patterned turned wooden boxes with lids. His most recent acquisition is an 1836 universal rose engine, needing a bit of TLC but he is looking forward to producing more detailed patterns with roses on his box lids. 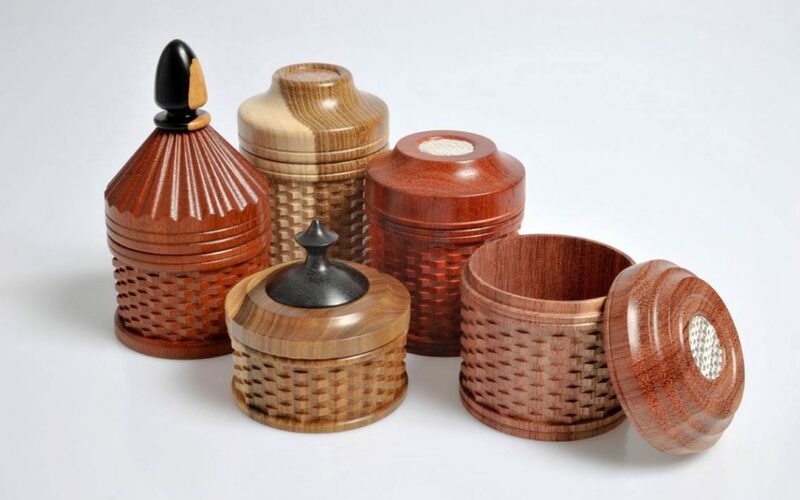 Ken is based near Ludlow, & regularly exhibits & sells his superb Shaker oval boxes, made in a variety of natural woods & painted finishes along with a wide range of beautifully detailed turned wooden boxes.